Thank you very for taking the time to review our service and delivery as excellent. Being fitted next week so will not know how they perform for a few weeks. Would recommend. Excellent product and service. Thank you very much for the recommendation and the fantastic 5 star review. Excellent service, easy to order, delivery very quick. Thank you for your great review and we look forward to hearing from you again. Excellent service, fast delivery, excellent product, very helpful and friendly staff on the phone, I need more heaters and I know who I will be getting them from. Thank you very much for your brilliant review, we very much look forward to hearing from you again. Ideal for a summerhouse. Economical to run, easy to program and simple to install. Great company to work with and a fantastic product! Thank you very much for your great comments and excellent review. Thank you very much for reviewing your new Rointe products as excellent. These Rointe heaters are brilliant. I had 3 small items installed in an integral garage conversion to bedrooms. So I bought 3 more to help out the underfloor heating which struggles with the open plan living aspect of my home. Integrated programmers can be a little tricky but read the instructions carefully and keep calm. Once up and running the thermostat control cuts them in and out as needed on the timed control. Economical to run and really really effective. 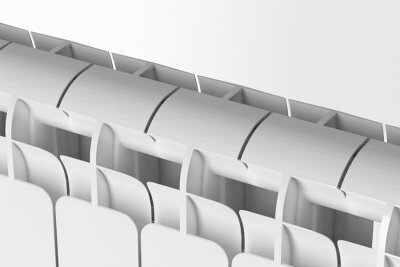 Use the Heater Shop size guide to give you an idea of the element size required. Simple fit on the wall with template provided, plug them in, program and leave them to work. Absolutely brilliant!!!! Thank you so much for your fantastic review, it is very much appreciated. Great service with friendly and really helpful staff. More than willing to arrange a delivery date that suited me. Very refreshing to see that customer service is alive and well. Thanks Heater Shop. We pride ourselves on our customer service, so thank you for your valued feedback. Fast delivery, well packaged and kept informed of delivery time, Heaters easy to fit to wall with template provided, very stylish looking, didn't take long to set the programme and seem to be working well, not too sure on running costs yet as only been on for a fortnight. 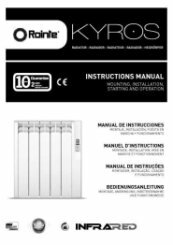 The Rointe Kyros electric radiator is a fantastic product, thank you for taking the time to review it as excellent as well as our service too. Thank you for your review, we appreciate all feedback. Please give us a call on 01473 276686 and we can see if we can sort this out for you. Thank you for your review, we appreciate all feedback. Please give us a call on 01473 276686 and we can see if we can sort this out for you. Thank you for taking the time to leave your great comments, we really appreciate it. Thank you for your purchase and feedback. Please let us know if we can be of any further assistance at all. 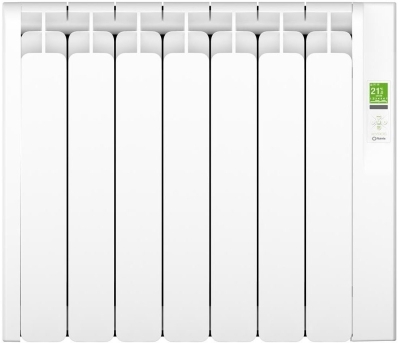 Thank you for reviewing the Rointe Kyros Electric Radiator. Impossible to set timer etc. The display is so small we and instructions to set are so poor we have not been able to set and have to adjust by hand. You have to get on knees to see the program screen its so small. Should at least have a remote control for the price, but it does NOT. 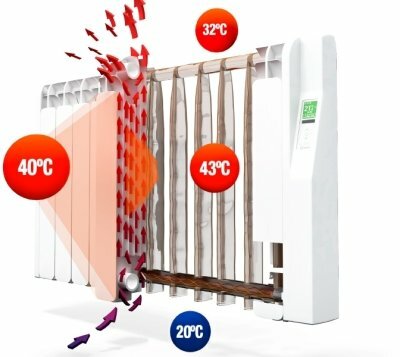 This makes the heater difficult to control, very dissapointed. Was considering buying 2 more but because of poor set up and no remote will not be doing so, glad i only ordered the one. Expensive should at least have a remote for the price that would at least save having to get down on your knees to see the illustration, ITS TINY. 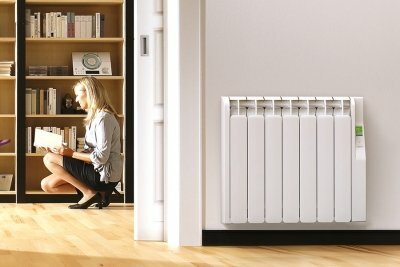 Many thanks for your valuable feedback, I will of course pass to the manufacturer for product improvement, The Rointe Kyros radiator is a very high quality unit that has a super reputation for efficiency and longevity, So hopefully the product will prove itself worthy after a reasonable period of heating. Just for reference we do sell a Rointe remote control although the display on this is no larger than that of the radiator so not sure if this would help you. If I can be of any further assistance please don't hesitate to contact me. I very rarely leave feedback but heatershop are so good i had to! If you want heaters use them, best customer service, cheapest products, excellent delivery. Thank you very much, we really appreciate your wonderful comments on our service. Thank you very much for your great review and recommendation, we appreciate you taking the time to leave your fantastic feedback. If you have any queries at all regarding programming please do not hesitate to contact us on 01473 276686. Thank you for taking the time to review us as excellent, it is very much appreciated. 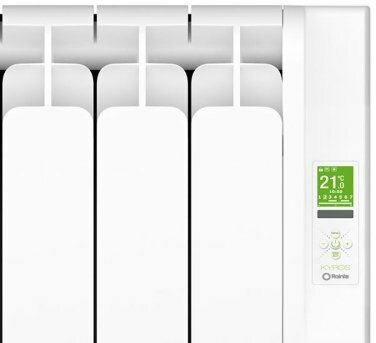 Thank you for taking the time to review the Rointe Kyros radiator, we very much appreciate it. Our Customer Service team are very efficient and always ensure that the satisfaction of our customers is a priority. Had previously had Rointe 550W heater but not quite adequate for our room-space so have now got Kyros 770W - what a difference this had made to our room. 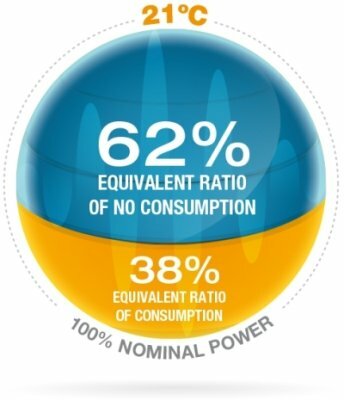 Will have to monitor extra electricity used over a period of time but when we had the 550W heater installed we saved 500 kw on our annual electricity bill. to our door. Would recommend them to anyone! Thank you for your great review and recommendation. If you need any further assistance please give us a call on 01473 276686. 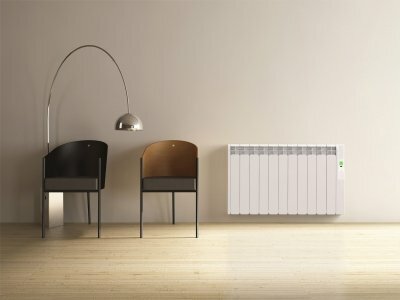 Everything I expected, having previously acquired a Rointe heater. 1st class service. No different to the service previously experienced last year. Thank you for your comment, we are glad that our service continues to impress! Thank you very much for your comments, we appreciate it very much. The Rointe Kyros series is really fantastic. 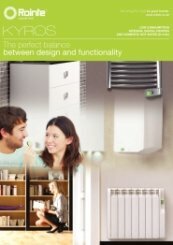 Thank you for reviewing the Haverland XTAL Electric Radiator as excellent. 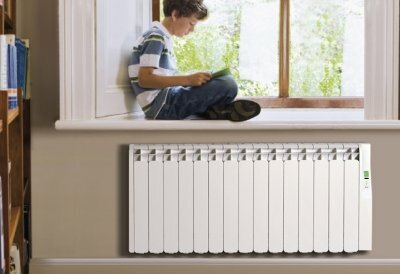 They are very easy to install, stylish looking and are a very popular range. Excellent. I already have several of the Rointe K series having taken out my old storage heaters. This one is pretty much the same and works really well. The heaters are far more controllable than my old heaters and so far my costs have spiralled so really happy. Excellent service, the heater I ordered had sold out, i got a call to explain this and was offered another type of heater same output. Posted out and arrived exactly when they said it would. Excellent service from delivery to completion. Thank you very much for reviewing us as excellent for both service and product. 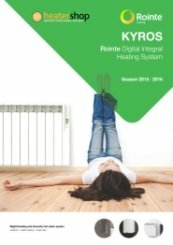 The Rointe Kyros is a fantastic upgrade of the old Rointe K Series and a great alternative to the replacement of old storage heaters significantly reducing heating costs. V good product, easy to fit. product arrived day after order (can't beat that!) and was installed same day. That's really great, thank you for reviewing us. Easy to install and check out the programming info on Youtube! Efficient communications and delivery exactly on time. Excellent, thank you for your great feedback. Great heaters, easy to instal,l simple to set up. 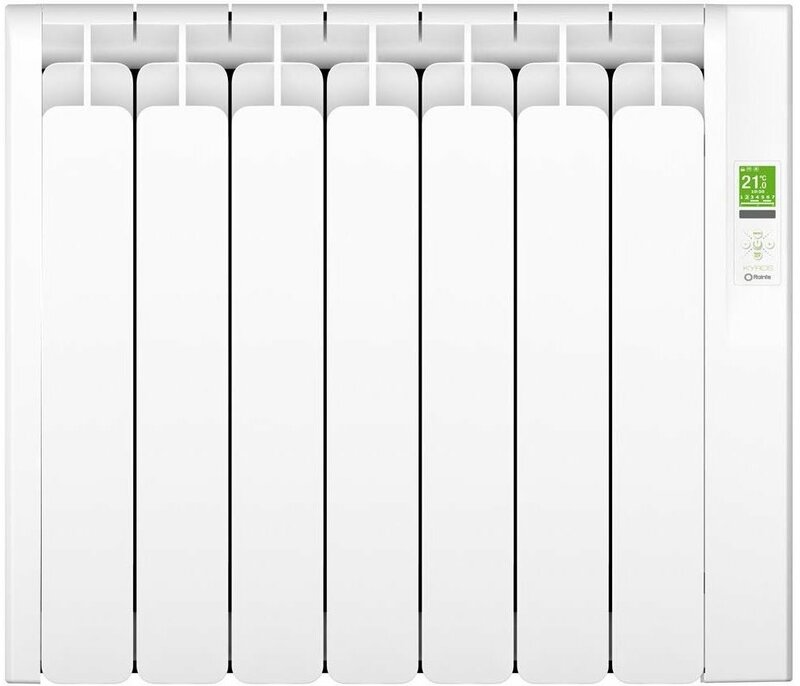 The Rointe Kyros Electric Radiator is a great Electric radiator, thank you for taking the time to leave your review. Although I have not used the heater much yet,first impressions are good,my nephew has one and speaks very highly of the product. Should be excellent as I bought the previous version for my Mum last year. Absolutely fantastic service. Ordered around 12pm on a Tuesday and arrived before 10 am the next day. There was even a follow up call to ensure that the delivery was carried up to the first floor flat for my Father in Law. Thank you for your great feedback, we really appreciate you taking the time to do this. If you need any advice or assistance with in the future, please call us on 01473 276686. On the wall, heating our once cold room. Did exactly what they said they would. Easy to use site, tracking was excellent, delivered exactly when they said they would. That's really great, thank you for taking the time to review us as excellent. Very efficient and helpful re products. Quick delivery.